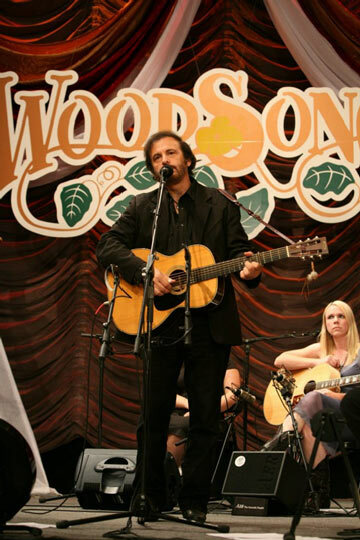 Loretta Sawyer Agency is privileged to have folk singer-songwriter Michael Johnathon as our featured artist. Michael Johnathon has a long-standing career in acoustic arts, as a playwright (Walden: The Ballad of Thoreau), performer, creator of the opera Woody: For the People, and as the host of the WoodSongs Old Time Radio Hour heard on 509 radio stations, American Forces Radio network, online and on PBS television stations across the nation. Michael is touring with the release of his new CD Looking Glass. The new album is the 17-song live concert album recorded in theaters from Arkansas to Ireland. It includes string quartets, audience sing-alongs (Gershwin’s “Summertime” on the banjo), the funny tune BAN-Jokes (a bunch of banjo jokes), an amazing rendition of “Sittin’ On Top of the World,” the folk aria “Believe” from the Woody Guthrie Opera and more. See our contact page to request information about booking Michael Johnathon.